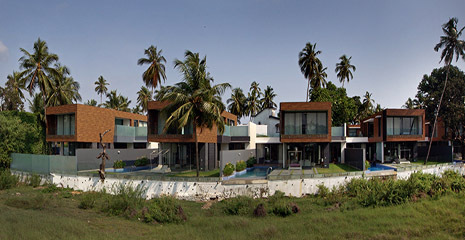 Located in Candolim this brand new villa is minutes away from the beach. Its ultra modern design coupled with an open plan design, glass walls and minimalist furnishings impart a light and peaceful atmosphere. 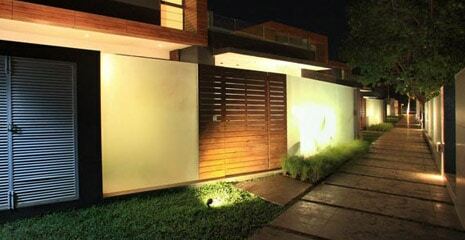 Although set in a gated community, the villa is cleverly screened off to offer privacy. 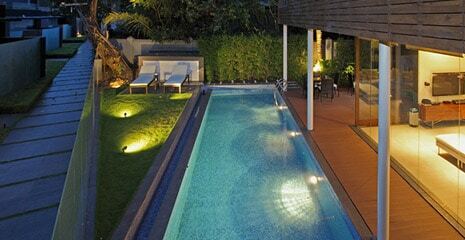 A private infinity pool and sundeck overlook the paddy fields and the outdoor space offers a shaded pergola inviting guests and children to lie back and enjoy the verdant views. 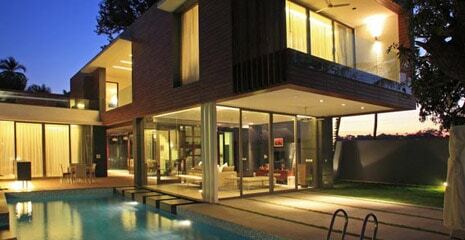 The air conditioned interiors of this smart contemporary villa are set over two floors. 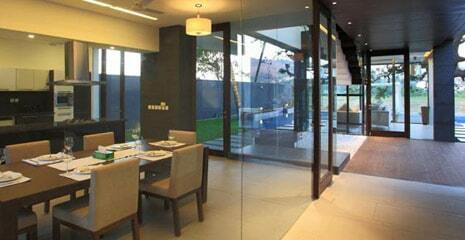 The ground floor comprises of a well-equipped open plan kitchen and dining room. 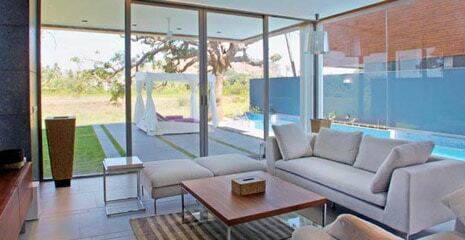 The minimalist styled living room is comfortably furnished and cool and leads out in to the garden with a pergola. There’s a separate TV room with flat screen TV and Bose speakers. 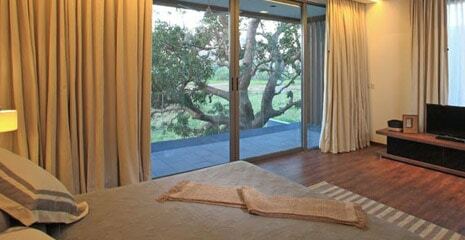 The en-suite master bedroom has sliding doors which open onto the sundeck, pool and the paddy fields beyond. A staircase with glass banisters leads to the first floor where two identical double en-quite bedrooms are located. 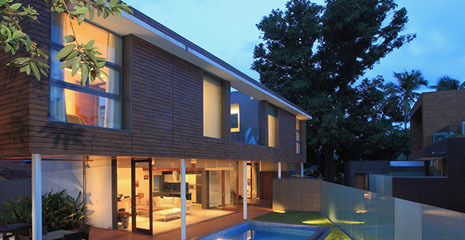 Both have glass fronted verandahs offering unobstructed views over the paddy fields. 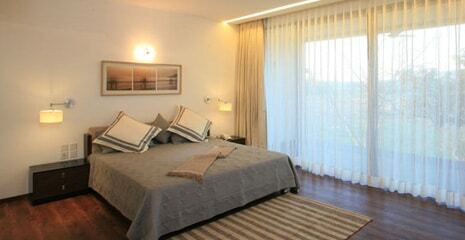 All bedrooms have queen-size beds. 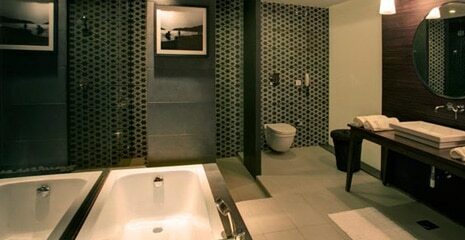 The en-suite bathrooms are well-fitted with indoor and outdoor showers.